We are now past E3, our favorite gaming event of the year, and all the interviews are in. Besides our own exclusive interviews, other sites and organizations had their own questions to ask the shot callers over at Nintendo. NZgamer arranged a meeting with Mr. Takashi Tezuka, one of the folks who work so hard to bring us Zelda, to discuss some of the titles announced this year, but managed to sneak in a question about the one game many of us were looking forward to the most: Majora’s Mask 3D. Hit the jump to see what he said and find out what it means for us! I have a question just for myself as a big fan of a multitude of games Tezuka-san has worked on. Is there any hope for a Mario Sunshine sequel or a 3DS remake of Majora’s Mask? [laughs] This is my personal opinion, let’s start with that. It can be off the record if you like. I mean, of course I wish we could. I personally would like to enjoy those again but I don’t have any information. While the idea of a sequel to Super Mario Sunshine has flown under the radar with all the hype about Zelda remakes, it is still something that many avid Nintendo fans would appreciate. 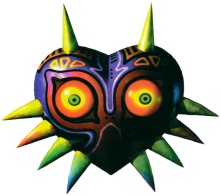 When it comes to Majora’s Mask, it is heartening to see that members of the Zelda team and higher staff are open to, and even excited by, this idea. Willingness to take on and participate in the project is a huge precursor to actually getting it done, and I hope his attitude is shared by others over at Nintendo headquarters. 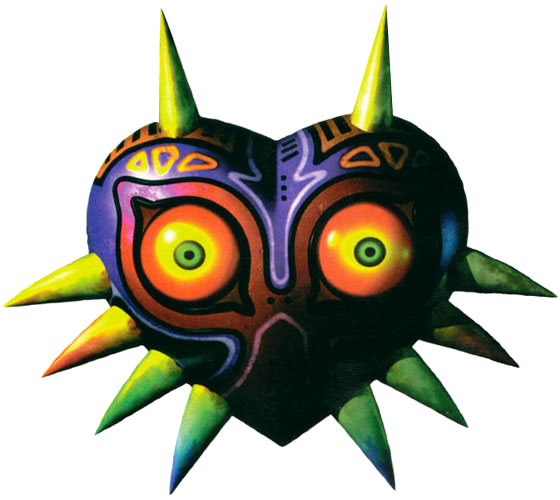 Now, this is just speculation, obviously, but I can’t help but notice the huge amount of references and tributes to Majora’s Mask throughout E3 and in the recent past. We had a blatant reference to a possible remake in A Link Between Worlds, along with the debatable “3 Day” journal many players located, and now we have repeated demonstrations of Midna dragging the cursed moon of Termina into enemies in Hyrule Warriors, Skull Kid as a probable avatar in the new Smash Bros. game and usable Zelda items everywhere. If Aonuma and the rest of the Zelda team are teasing us, it’s starting to get cruel. Although the inclusions of these elements could be nothing more than an attempt to increase the drama and intensity of certain moments, like the special move in Hyrule Warriors, it just seems fishy that, in the midst of crazy hype for this remake, they would dangle so many of these tidbits in front of us. If they are trying to rile us up for when the game eventually is announced, it’s working, but if they wait too long the fans will probably get peeved. If there is no prospect for the game, then I have to say that our creative team is being unjustifiably mean, taunting us with just enough to give hope for the remake when there is no plan at all to reward us for our patience. So what do you guys think, are these signs of an impending remake announcement, or are the teams over at Nintendo just trying to be more inclusive with the various plot points of the Zelda timeline? Let us know in the comments!